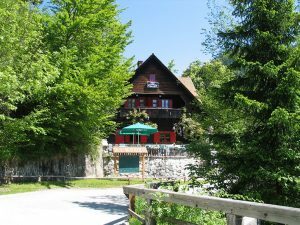 The Zatrnik Pr´Jagru Inn is located in the Triglav National Park, not far from Zgornje Gorje – in Zatrnik. We offer a wide variety of homemade dishes (stews, home produced meat, buckwheat mash and dumplings, homemade bread etc.). Our specialities are mountain goat soup, mushroom soup, variety of mushroom dishes, game stew with bread dumplings, deer steaks with curd roll. We prepare tasty dishes from stag meat and wild boar. 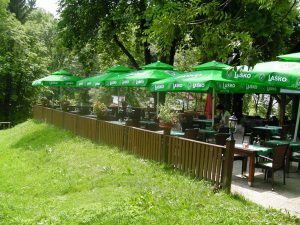 In the summer we offer you barbecue dishes such as mixed meat, pork fillet in bacon, »čevapčiči«, T-bone and fish. We also roast piglet or lamb on a charcoal grill. You can organise a social event, anniversary or simply come with a big party to our inn, please book ahead. Welcome to the nature, we welcome you at PR´JAGRU! The company is active in the tourism branch, catering business, sports activities and personal transport. 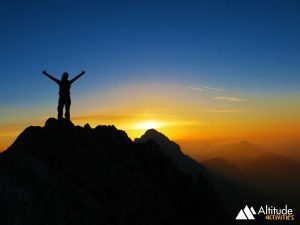 It connects the people, who share the love for nature. 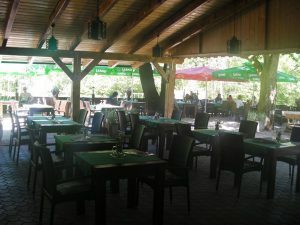 Not far from Gorje and Vintgar there is a restaurant in the Camping site Šobec, which offers a wide variety of dishes. Our apartments in Zgornje Gorje offer a beautiful view over Bled and surrounding mountains. You can join us on a rafting trip on the rivers Sava Dolinka or Sava Bohinjka. We have a range of bikes to rent. If you wish to spend a couple of days at the sea side, we offer apartments in the coastal towns of Piran in Slovenia or in Savudrija in Croatia. In the winter time we can help you learn how to ski, snow-board, cross country ski or take you on a snow shoes hike in the snowy mountains. We will rent all the equipment for this snow fun in the intact nature. We will fetch you from the airport and bring you back there, we organise trips and transfers to all of Central Europe. 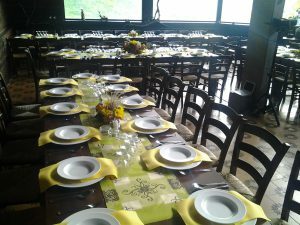 We organise different events, trips, seminars, congresses and team building programs. We try to suit all your measures – it’s always worth trying, because we can do it! Our motto says it all: We are here for you, hand in hand with nature, beginning a new day with a smile! We are a company with years of experience in tourism at home as well as abroad. We pride ourselves with satisfied guests, who are also our cheapest commercial. We offer our guests the whole package – from offering them a ride from the airport or a railway station to comfortably accommodating them, and while our guests enjoy a nice tasty breakfast, we can also advise them on places to visit. If requested, we can organize special trips to the beautiful Slovenian places. We also advise them on culinary delights, our tasty wines, and sightseeing. 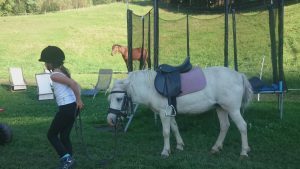 These trips are not time-limited, and are suitable for smaller groups of 1-6 or 1-8 persons, and can be provided with guidance in Slovenian or foreign language. After our guests are nicely worn out by the trip, and spend most of their money, we take them all satisfied back to the airport or the railway station. Or, we advise them on services of other providers of various activities. 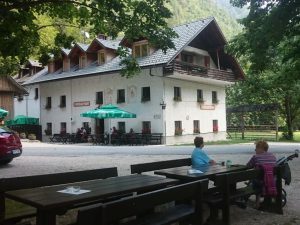 A pleasant pub not far from Vintgar offering local dishes and a vast choice of wines. We offer brunch from 9 am to 12 pm and menu a la carte until 10 pm. We also invite you to try our boutique beers and spirits. Our farmstead has been involved with eco- farming since the year 2000. In our home cooking we endevour to use our own and locally sourced ingredients. 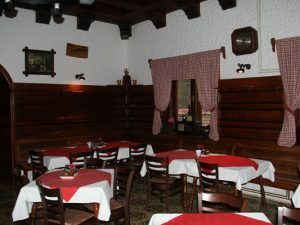 The menu is a selection of traditional dishes. If you spend your vacation in our apartments we can can also prepare breakfast and dinner for you in the restaurant. Our menu you can always check in the section “Menu”. Friday- saturday: till 10. to 23. hour – till 31.05. and after 1.10.